The finished object for this week is Annie’s scarf. 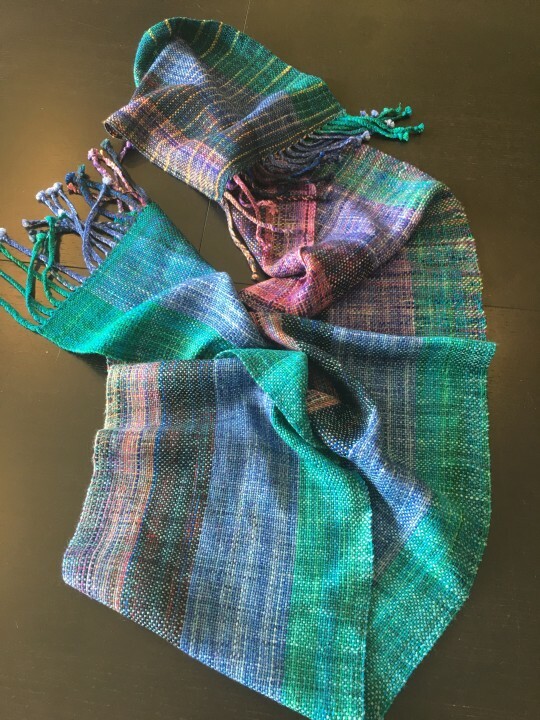 She mixed together her loom and some leftover sock yarn to create this masterpiece. Pretty amazing, isn’t it!? This week’s finished object is the Azel pullover by Heidi May. 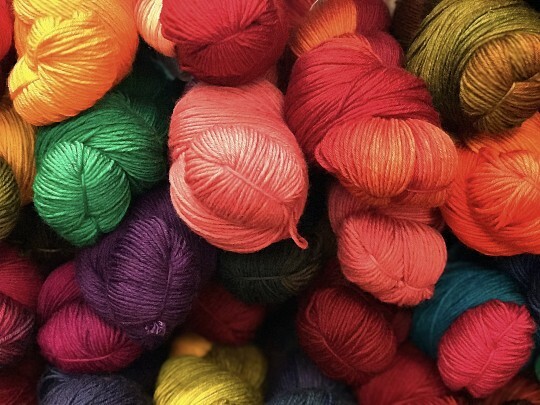 Knitted by Mary out of 350 grams of DROPS Andes. 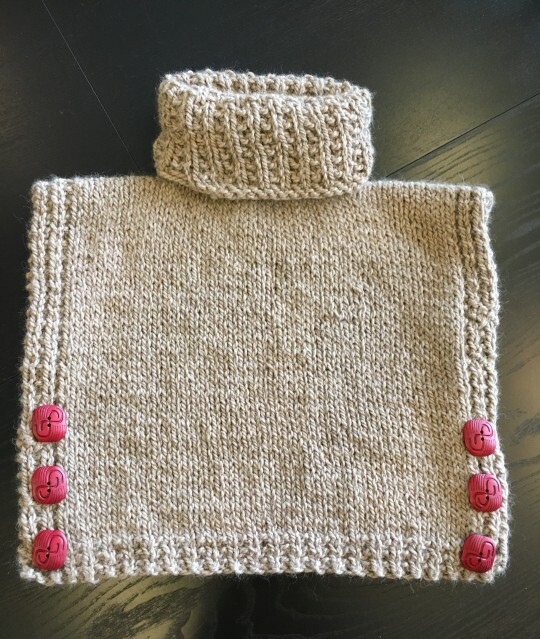 What an adorable sweater!! The Loop will be closed on Monday, February 20th for the Family Day holiday. We’ll re-open at 10:00 am on Tuesday, February 21st. Have a wonderful holiday! 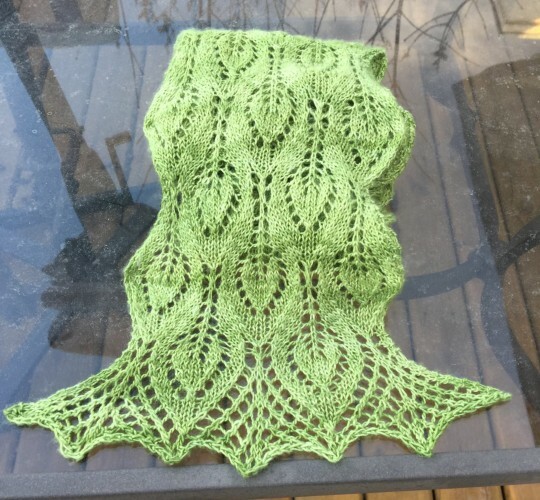 This week’s “Friday Finished Object” is Justine’s Spring Leaves scarf by Katrin Vorbeck. It’s a special project, because not only is it Justine’s first completed lace project, but it was the magic one where lace suddenly “clicked” for her! Those moments are the greatest! Beautiful job, Justine!!! 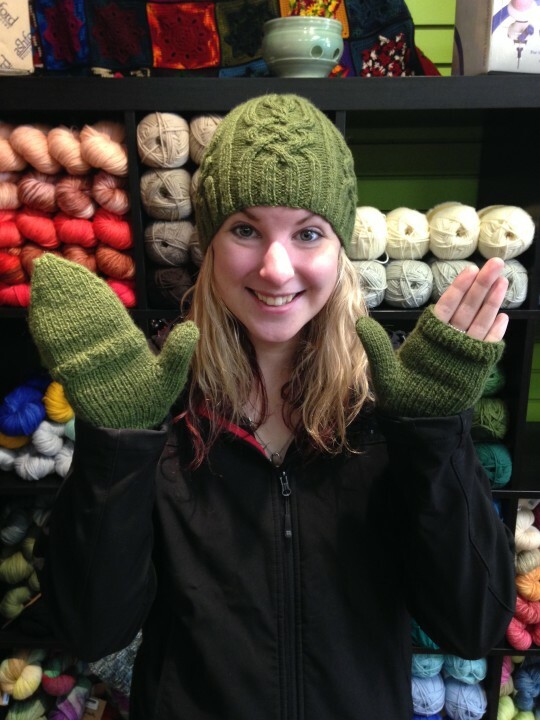 The Friday Finished Object(s) for Feb. 3, are Katie’s Snowtracks Cap by Timothy Peters, and her Paton’s Four Needle Fingerless & Convertible mittens. She knitted them both in Cascade Cloud, and did a fantastic job!